Morrith rose to his feet. Before him the body of his mother lay on an old wooden bed, the straw mattress stained with blood and bile until it was more brown than yellow. The smell in the room was near overpowering, and Morrith wrinkled his nose at it. His eyes looked slowly around the room, taking in the pristine condition of everything, even the lack of dust on the dresser. He crossed the room and stepped out into the living room of his parents small stone home. Compared to the bedroom it looked like someone had thrown an explosive alchemical mix. The wooden dining table was overturned and blackened with what looked like soot, but the table itself was oddly unburned. On the stone oven a skillet sat, filled with a black sludge that had once been food. A horse whinnied outside, more a shriek than Morrith had ever heard a horse make, and he sprinted to the door, kicking it open and stepping out into the quickly darkening streets. His sword near leapt into his hand as he watched his horse drug to the ground, zombies scrambling over each other for a taste of it’s warm flesh. The salt air swept over the docks as Morrith stepped off the boat. The hustle of daily life immediately brought him back to his childhood, one spent fishing with his father in the woods near out home. It wasn’t far from New Haven, a small settlement with a stone keep, an alchemist, a few farms and his fathers woodworking shop. He specialized in musical instruments, and his mother would play him a lute to sleep. That was fifteen years ago now, and Morrith hadn’t been back since he was sent to Britain for Paladin training. Now done with formal training, all that was left was for Morrith to go out into the world and make his own way. 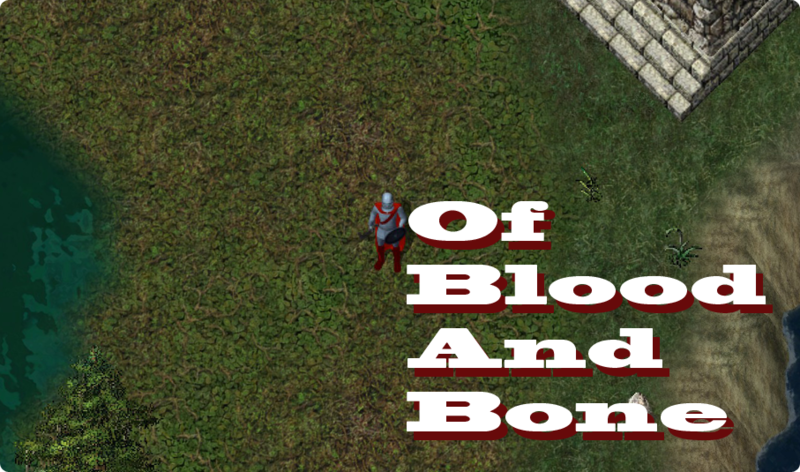 Introducing Of Blood And Bone, a new series I’ll be starting alongside ‘Wild’ Erp. 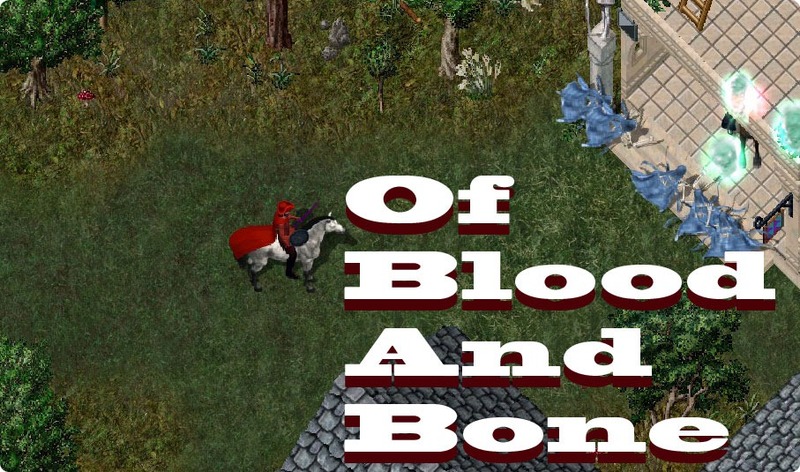 While Erp will be continuing for a long time, Of Blood And Bone will most likely only be a very short lived, quick to finish story. 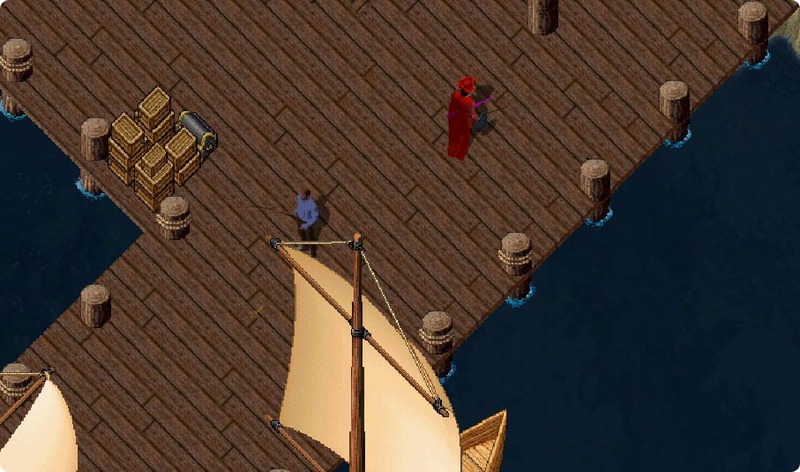 This one is set in the world of Ultima Online, a game I remember very fondly. There were a lot of things you could do in that game to role play, including building a camp. Since I’ve been back the people have been great. I had someone take two hours out of their day to show me around and teach me all about the new changes. I’m in a great guild, and very surprised to be liking the game as much as I am after all this time. Morrith is the hero of this tale, and he’s a noble born paladin returning to his home, a village just outside New Haven. That’s all you get tonight, but look for episode 1 up tomorrow.